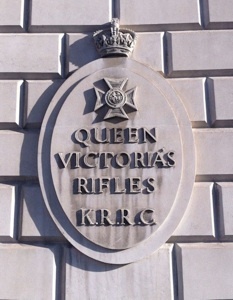 August 1914: Headquartered at 56 Davies Street. Part of 3rd London Brigade, 1st London Division. Moved on mobilization to Bullswater, then in September to Crowborough. November 5, 1914: Left Division and landed at Le Havre. 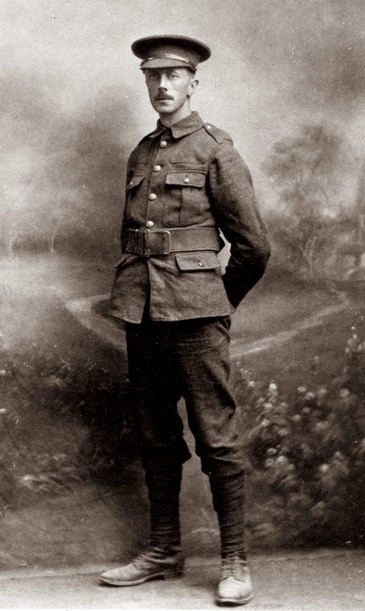 November 27, 1914: Came under command of 13th Brigade in 5th Division. “Arriving in the reserve trenches on the 31st of December, we found that all the dug-outs were knee-deep in water, so we set to work to dig others - but it was like digging on the seashore, each shovelful of earth we took out was replaced by a bucketful of water. Luckily there was a deserted and partially ruined barn on a line with our trenches, and we were sent there to rest, after receiving strict injunctions not to make any noise or show any light. Making a deep nest in the straw that nearly filled the barn, I slept until daybreak. I was sharing my breakfast and the remains of my Christmas chocolate with my neighbour when we heard a noise like that of an approaching express train, and a shell exploded on the roof, ripping off all the tiles which fell with a clatter on to those who were sleeping in that half of the barn. As our habitation seemed none too healthy, we began to make arrangements for a speedy move, but a sergeant at the door ordered us to stay where we were. Then again came that ominous rushing noise, and I crouched into my bed of straw knowing that death was coming towards us. There followed a deafening crash and then darkness. Map of the Western Front. 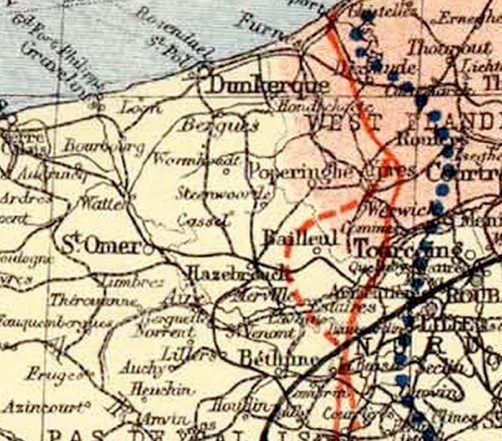 Ernest was stationed near the town of Bailleul. British entrenched position is indicated by red line. 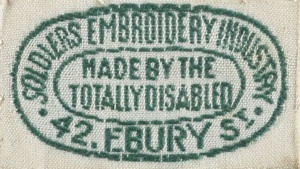 During his convalescence, Ernest devised a scheme for teaching other wounded veterans needlework, which eventually became the Disabled Soldiers’ Embroidery Industry.